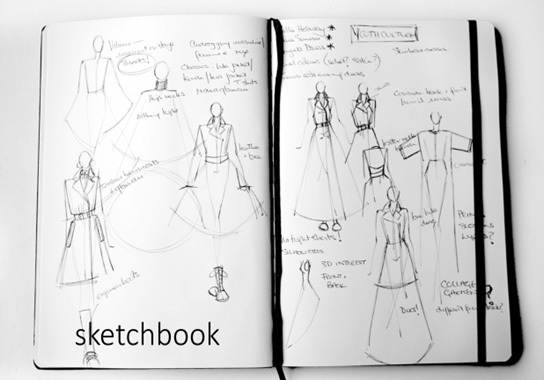 This paper describes the first of a series of case studies exploring the use of drawing as part of the dialogue between fashion designer and client, with this initial study focused on the creation of a bespoke garment for a client in the music industry. A significant aspect of this commission was that the designer and client were geographically separated and much of their communication for the design process was facilitated by scanned drawings sent via email. The use of drawing was recorded and analyzed through the various stages of communication between designer and client in the design process and both achieved a mutual confidence in their own use and understanding of drawing to an extent that collaboration almost entirely reliant on drawing could be envisaged for future work. COBURN, Theresa; SCHENK, Pam. A Dialogue Between Fashion Designer and Client. TRACEY, [S.l. ], v. 12, p. 1-18, july 2017. ISSN 1742-3570. Available at: <https://ojs.lboro.ac.uk/TRACEY/article/view/2450>. Date accessed: 19 apr. 2019.